This brochure is another example of a series of brochures issued by the South Manchurian Railway as part of a beautiful series in the second half of the 1930s (previous). 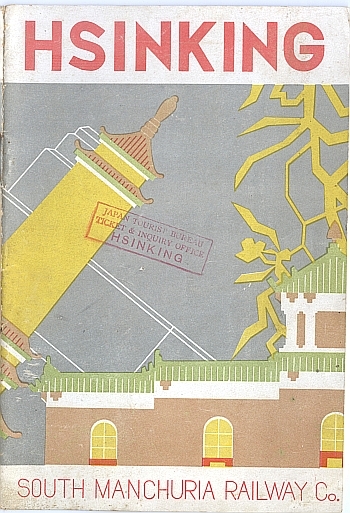 This brochure “Hsinking” was issued in 1935 to promote travel to Hsinking the capital of Manchuria. The artist signed it either in a Chinese character or with his own symbol but I cannot identify it. I particularly love the smaller letters embedded in the larger letters. As noted previously, generic cialis treatment I do not know the back story on the creation of this brochure series. If any one knows the history, unhealthy please let me know. The South Manchuria Railway ( or ?? “Mantetsu”) was created by Japan after its victory over Russia in the 1905 Russo-Japanese War to develop Manchuria. 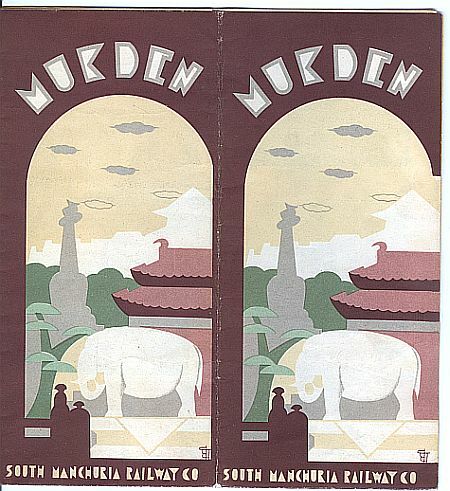 This brochure was issued by the South Manchurian Railway as part of what I consider an incredible and amazing series in the second half of the 1930s. 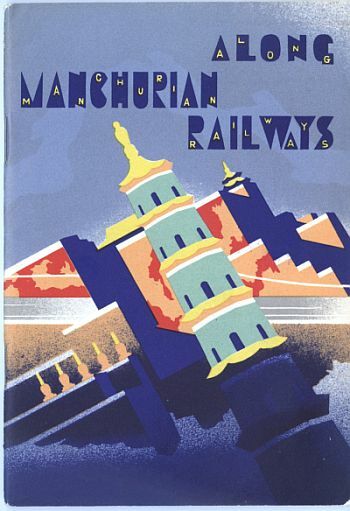 This particular example: “Along Manchurian Railways” was issued in 1937 to promote travel to Manchuria and it cities. The artist signed it either in a Chinese character or his own symbol. I particularly love the smaller letters embedded in the larger letters. I do not know the back story here but this and the next few brochures I will post were clearly part of a series. If any one knows the history, cialis canada order please let me know. 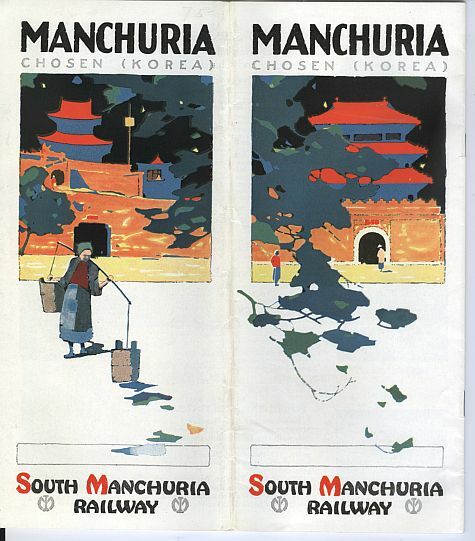 This Brochure is undated but based on its content and design – clearly prior to the brochures I’ve already posted for the South Manchuria Railway – looks to be from circa 1932. The South Manchuria Railway ( or ?? “Mantetsu””) was created by Japan after its victory over Russia in the 1905 Russo-Japanese War to develop Manchuria. As noted previously here, best viagra and the South Manchuria Railway commissioned designers and subsequently released some cutting-edge posters, viagra canada capsule brochures and advertisements. This brochure appears – by its assumed date and by its design – to have been in the early period of its external marketing campaigns compared to what came later. 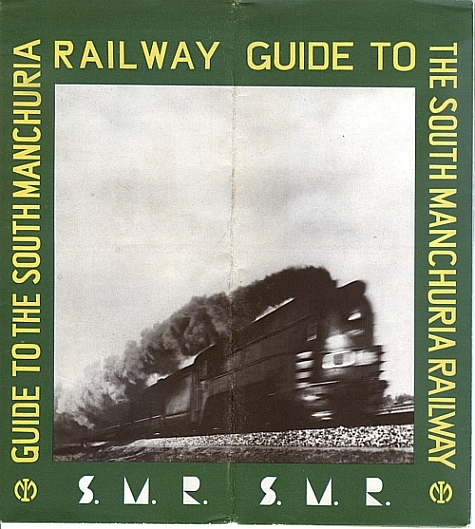 This brochure showcases the developing design consciousness of the publicity department of the South Manchuria Railway which was to reach its pinnacle in the next years. As the 1930s progressed, cialis sale sales the South Manchuria Railway ((?? “Mantetsu”) was influenced by the then-current trends in graphic design and produced brochures (which I will cover) and posters that showcased some of the leading design trends in graphic design in Europe. At this point I know of now English language book or website on the artists behind these amazing brochures and booklets (If there is one in English or Japanese please let me know). But I will say they are among the most beautiful and well designed brochures issued by any travel organization during this period. 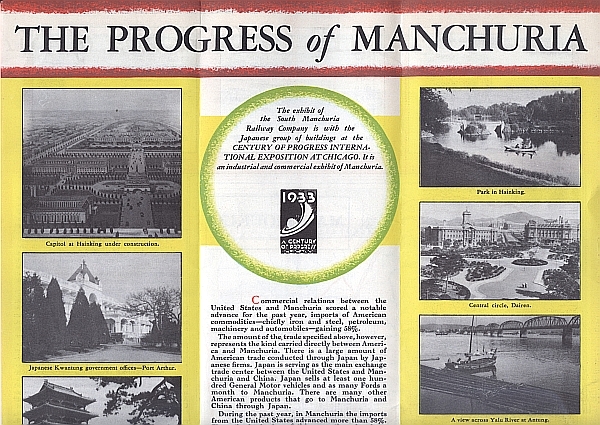 This brochure for the South Manchuria Railway was issued as part of the Japanese exhibit at the 1933 – 34 Chicago World’s Fair “A Century of Progress.” The SMR (aka ?? “Mantetsu”) was one of Japan’s most important and profitable companies during the 1930s. The brochure is not as modern or stylistic as others but combines traditional Chinese images with modern graphic design. 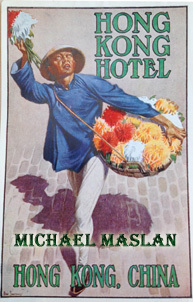 As noted in the last post, best viagra cialis sale the South Manchuria Railway operated a chain of hotels across Manchuria to help drive traffic, business and revenue for the railway. The SMR (aka ?? 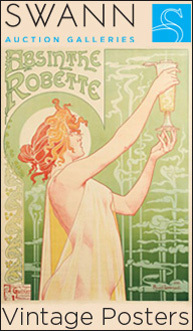 “Mantetsu”) operated a number of high-level hotels, many designed in the art nouveau style to showcase the modernity that Japan was bringing to this region. In addition, according to Wikipedia, the hotels were also designed with a dual purpose to house the military emergency. 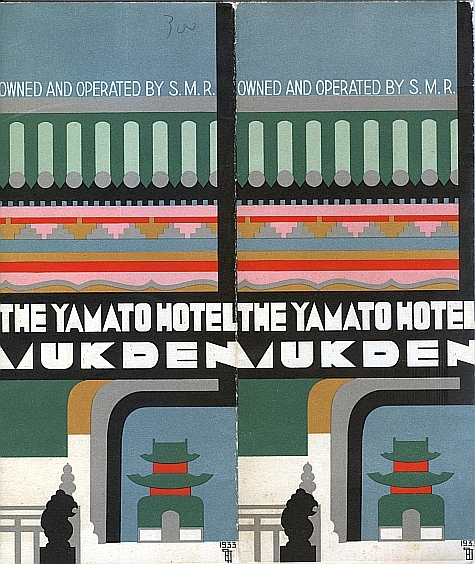 This particular brochure, part of a series, was issued in 1933 for the Yamato Hotel in Mukden, now Shenyang. There is a signature by the artist on the bottom right. The South Manchuria Railway Company (or ?? “Mantetsu”) was a company founded in the Empire of Japan in 1906, viagra sales taken over after the Russo-Japanese War (1904–1905), and operated within China in the Japanese-controlled South Manchuria Railway Zone. The railway itself ran from Lüshun Port at the southern tip of the Liaodong Peninsula to Harbin, where it connected to the Chinese Eastern Railway. As part of the the company’s marketing, the railway (Mantestu) developed modern towns, built to the latest standards of modern architecture. In addition to these physical attributes, the South Manchuria Railway had both its own design office and hired some leading graphic designers to advertise the railway internationally. Over the years of its existence, the SMR launched a number of campaigns. Poster examples (in Japanese, scroll down) are here, here, here, here, here, here and here. The material published by the railway’s publicity department in the 1930s are beautiful and are some of my favorite items in my collection.